AS a boy, Koay Shao Peng had always loved to draw. At the coffee shop which his family owned, Koay had plenty of “art paper” at his disposal. And with the resources at his disposal, he would create his masterpieces. “They were actually from paper cigarette cartons which I had turned inside out,” the 55-year-old artist said with a laugh as he recalled his childhood. “When I ran out of paper cartons to draw on, I would collect cigarette boxes and draw on the inside. That early passion for art thus laid the foundation to what he is today. Not only is he an artist, he was also the owner and principal of the Classical Art Centre in Penang, one of the oldest, if not the oldest, art school in Penang. “In school, I loved to draw so much that my friends would come to me for help whenever they were given assignments by their art teachers,” he said. “Most boys did not like to draw, so they would ask me to do it for them. The self-taught artist, however, did not stumble upon the idea of converting his passion into a vocation until he was in his 20s. One day, a relative who was then taking art lessons had approached him for help. 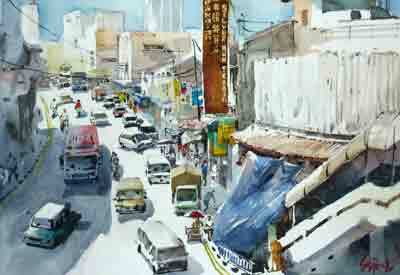 His business sense kicked in and single-handedly he set up his art centre, one of the two in Penang then. Over three decades later, the art educator has churned out at least 5,000 students through the centre, teaching and painting. “Some of my students are fine artists in their own right today. Many of them have also become prominent comic strip and graphic artists as well,” said Koay. His involvement in the teaching of art was not restricted to the confines of his classes alone. Over the last decade, Koay had also written 10 art guides entitled “Gubahan Fikiran” for use in schools. 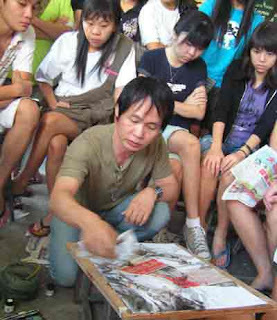 On top of that, he has also trained teachers in art education, both academically and from the creative point of view. 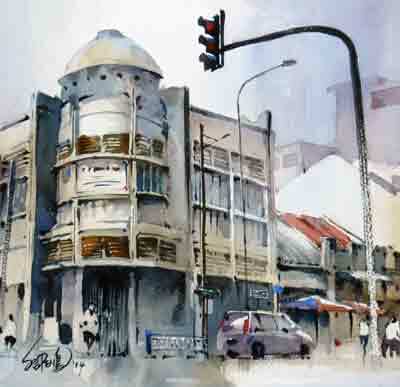 Although Koay is at ease with other mediums, watercolour remained his first love. He has also won various awards for his works and has taken part in numerous exhibitions and group shows over the last three decades. Koay has also just completed his third solo entitled “Explore Watercolours” which was held in Petaling Jaya where his pieces on Penang’s heritage buildings were met with warm response by city art collectors. “Georgetown is well known as a heritage city and as an artist, I have to celebrate that achievement by putting on visual record the beautiful historical edifices and life in its streets as I experience it,” he said.